Hello you lovely people, sorry I have been MIA again, I have been rather un-inspired lately and instead of making cards I've been doing a lot of window shopping and online shopping for crafty stamping products and watching a lot of youtube where other people are doing all the creating! I have a few new pics for you though, so lets get into it! 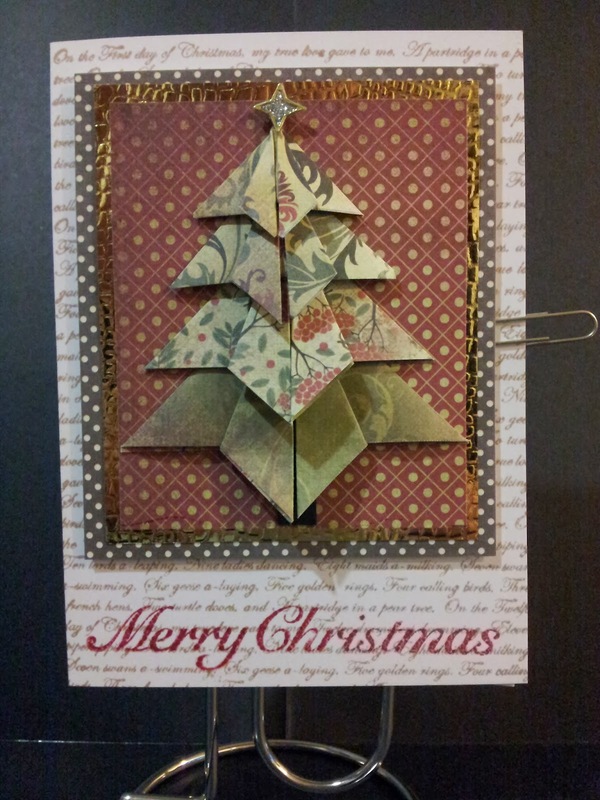 Ok, these two cards were made for a challenge on StampTV called Merry Moddy Christmas 2. The link to the challenge has disappeared but a link to the entries for it is here. 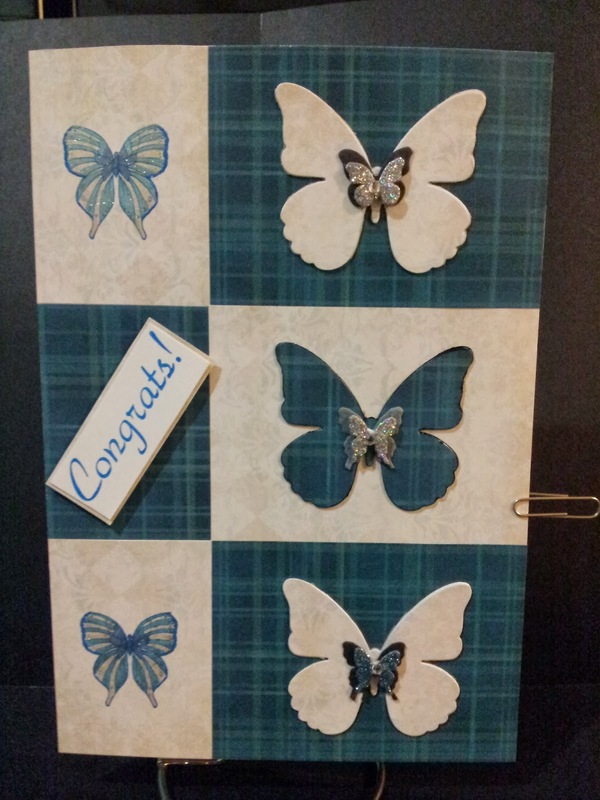 I made this card for Liz, one of my StampTV friends as she sent me a special card to celebrate the season for 2013. I really like how it turned out. It is inspired by a youtube video tutorial by Robyn at injoystampin, which you can view in two parts here and here. 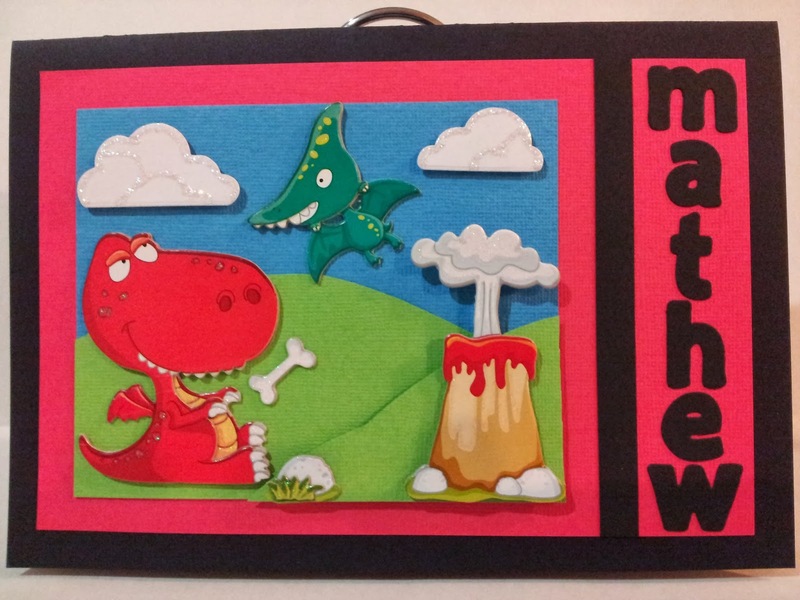 This card was made for my friend Carolyn's son Mathew, who was turning 5. The dinosaurs and volcano dimensional stickers were bought from The Reject Shop. I made the clouds and the hills myself though. 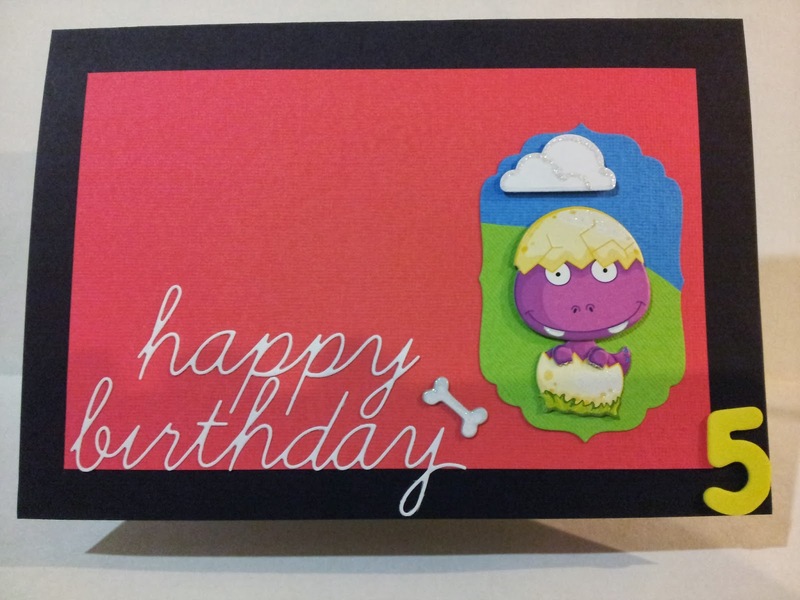 The second picture is of the inside, where I managed to fit the Happy Birthday. Thankfully Mathew loved it! With this next card, I thought I'd posted it previously, but it looks like I didn't. 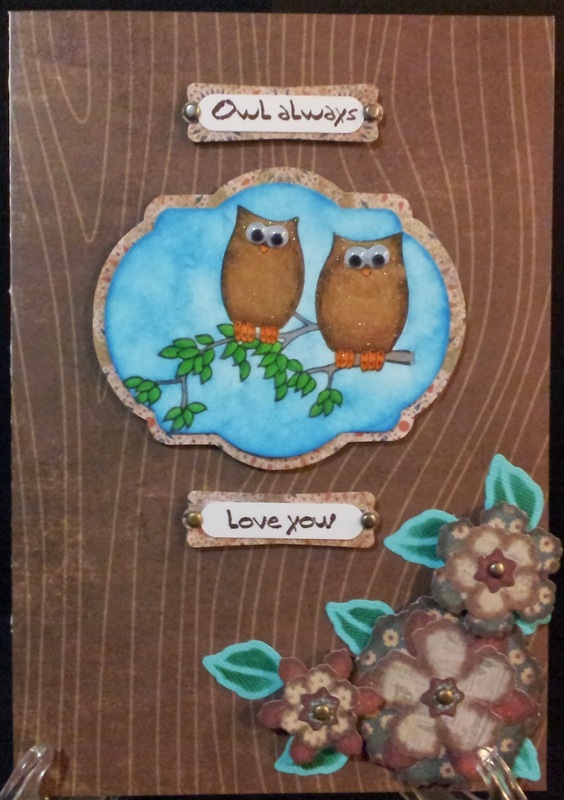 It was entered into another StampTV challenge called Mix It Up Monday Dec 16 - Love is in the air! To view all of the entries you can click here. And guess who won that challenge? Yep, me, I did, and they sent me this awesome prize! And I think that about brings me up to date with today's card. 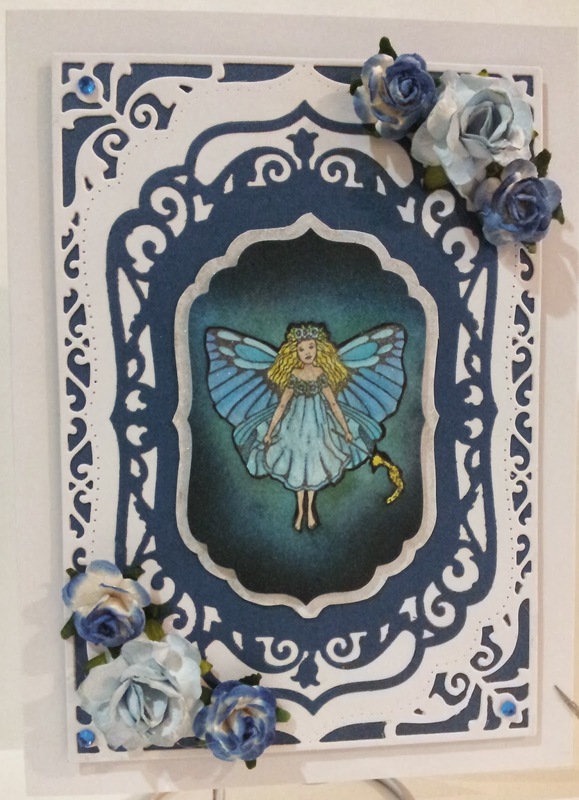 This image was sent to me by another StampTV friend called Virginia, who very nicely fullfilled my fairy stamp wish by stamping me a bunch of her stamps. 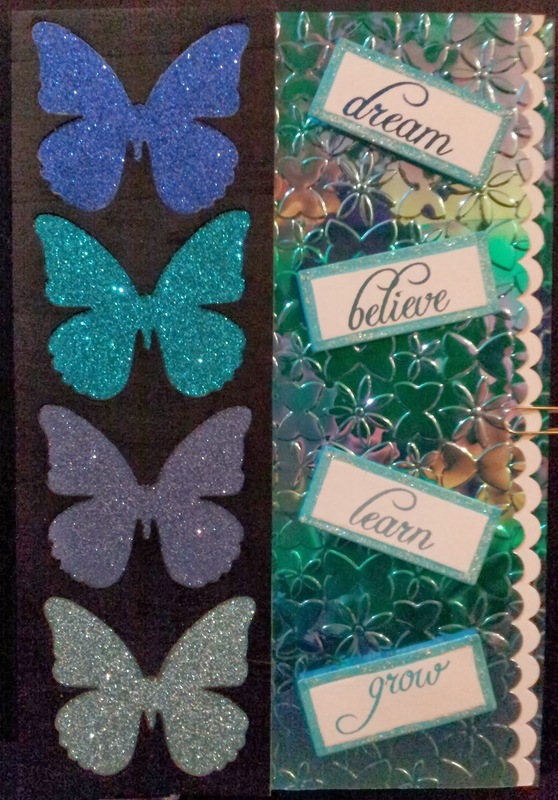 I really like the way this one turned out, but I have to tell you, the Spellbinders Dies that I used are called Elegant Labels 4 and my cuttlebug did not want to cut the outer one, it kept missing the top and bottom of the die. Oh well, I've now decided that it's almost time to upgrade because I want the largest dies, so I plan to get the Big Shot Pro hopefully around June 2014. I tried masking the fairy image but I had the masking plastic sheet backwards so the sticky side was around the wrong way, lol. 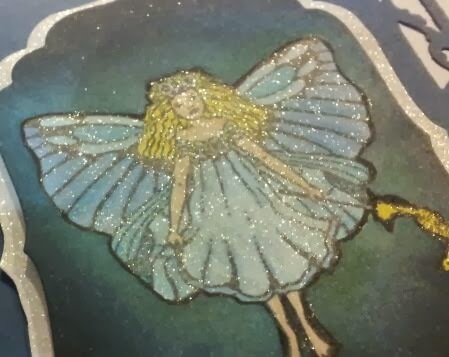 My second attempt was much better and around the right way, but I didn't place it over the fairy properly and after attempting to put a glow around the fairy I discovered white spaces around parts of her that shouldn't be there. I went around her with a black fineliner, which looks alright I guess but next time I will need to be more careful. And this picture shows how glittery the fairy is with clear wink of stella pen all over her. I also coloured the white panel under her with the pen, twice and it went super glimmery - like glitter cardstock without the texture! 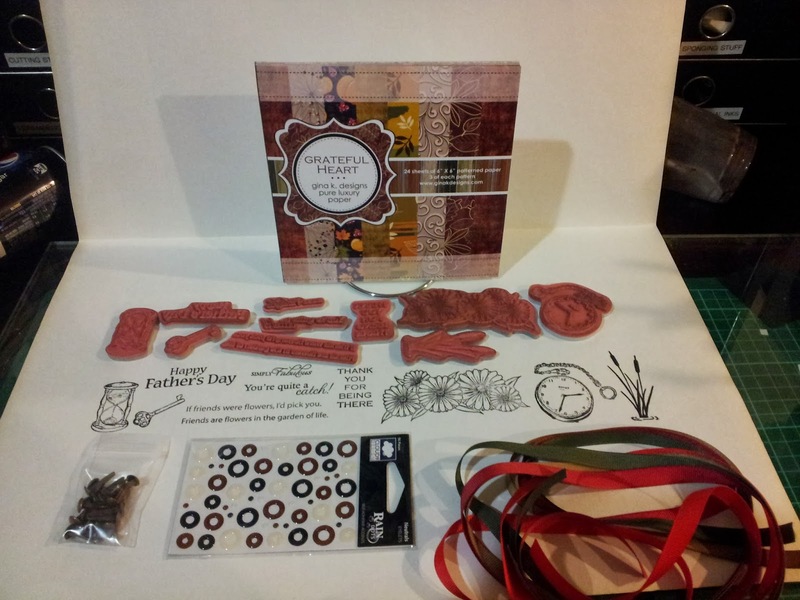 Well, I hope you all have a lovely crafty day and until next time, take care! Regards and thanks for stopping by! You've been busy, Karen! Awesome cards, all of them. And congratulations on the win. Very happy for you. That's ok Marcelle, I don't get notifications for all the blogs either. Thank you about liking my cards!